A recent tour of Canada’s biggest battery allowed participants to get up close to an 8.8MW/40MWh lithium-ion array housed in an otherwise unremarkable looking shed in the Wright Industrial Park in Stratford, Ontario. The $20 million Stratford Festival Hydro battery, manufactured (and 50 percent owned) by Powin Energy, was procured under the IESO’s Energy Storage Procurement framework. Saturn has since secured another contract for a 25 MWh/50 MW facility under a separate RFP for regulation services. The Stratford facility will provide reactive power and voltage support to help with Stratford’s growing demand. But it is ultimately a testing facility, where IESO and other participants can learn how a massive dispatchable battery can help manage Ontario’s grid. A small desktop setup with three screens is “the brains of the whole operation,” says Goertz. “Through this portal, IESO remotely controls the whole facility.” In fact, there are no permanent personnel on site; most days it sits unoccupied, just a big battery beside a transformer station. In the long run, though, this battery may be the seed of a local micro-grid. Indeed, as PV continues to grow and disrupt grids with duck-curve regularity, storage is increasingly seen as a prerequisite to further PV growth. Ontario’s grid operators have only begun to add modern storage technologies. Our primary storage is still the 170 MW Sir Adam Beck facility at Niagara Falls, the only pumped hydro storage in Canada; by comparison, there are over 30 facilities in the U.S., providing 22 GW capacity. The modern storage being procured by IESO is more distributed and responsive than Adam Beck; the first 50 MW of procurement has included flywheels, hydrogen, thermal and compressed air storage, as well as both flow and solid batteries. Meanwhile, Saturn and others are finding a growing market among Class A or ICI customers for behind-the-meter systems that can lower their Global Adjustment charges. 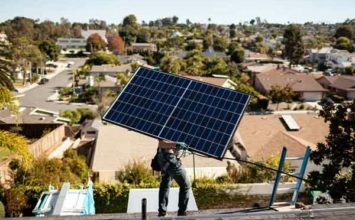 Residential batteries can now be included alongside Net Metering, where they can provide vital backup power. The solar + storage model is also being tested at scale by utilities including Oshawa Power and Alectra with its Power House project. This approach gets even more interesting when aggregation enters the mix, which could eventually open the door to virtual power plants like Tesla is trying in Australia. EVs can also play a part, but vehicle-to-grid power seems stuck at the pilot stage. Yet as electrification grows, other approaches could include grid-integrated battery storage for electric trains and even hydrogen storage for GO trains or vehicle fleets in a power-to-gas scenario. While Ontario may not be in the lead on storage compared to Korea, Australia or California, it has recognized storage as a “game-changing technology” in the Long-Term Energy Plan, promised support for new private storage installations, and also convened an Energy Storage Advisory Group that is examining market and regulatory obstacles to allow more competition in the sector. With our new government, the immediate future of these programs may be less certain than we would like. But in the long run, global trends are stronger than election platforms, and Ontario will hopefully continue to find a solid role for storage technologies. Nice to know Dave, the more the merrier! Can we please stop talking about storage in MW? It’s like saying a tank holds 500 Liters/min. The main unit should be MWh. It is interesting to know how fast it can draw down or charge up in MW, but when only MW numbers are given, we have no idea what you mean. Hi Ian, this is a bit of a pet peeve of mine too, but it really is context dependent, and in most cases, where the IESO is thinking about absorbing or providing *capacity* or power, not total energy, MW is the more meaningful unit. In pumped hydro, for example, MWh is a function of how large, and also how full, the reservoir is, which is not the issue, really; the storage, like the power production, is intermittent, and you’re not thinking about often draining the reservoir – you’ll usually only use part of it. Flow batteries and fuel cells are easily expanded, so similarly, MWh is not limiting, but MW is. I think it’s helpful to use MWh anywhere that total energy is the issue – i.e. when you want to provide backup power. In fact the Stratford project is way oversized in terms of MWh – they’re unlikely to use much under their current contract for even 1/2 hour (they have 5 h capacity) – but if IESO decides to use it (and many more) to provide peak power (i.e. as the next gas plant), having a few hours capacity (40 MWh) would be just about right.